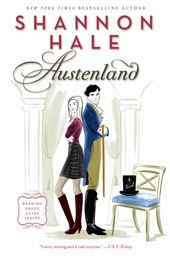 AUSTENLAND is headed for Utah! The Sundance Film Festival has selected the adaptation of Shannon Hale’s novel of the same name as one of the 16 films in the Dramatic Competition category. Woohoo! You can read the full press release here with a picture of leading actors Kerri Russell and Bret McKenzie at the top of the page. To learn more the book and its sequel, MIDNIGHT IN AUSTENLAND, click here to visit Shannon Hale’s author page.